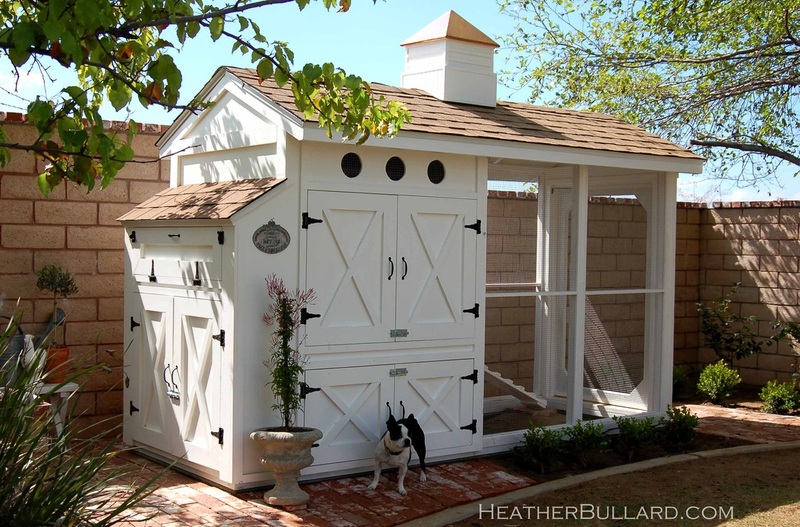 This chicken coop below is my ultimate favorite when it comes to chicken coops! It has all the bells and whistles. I know my husband wants to follow Joel Salatin and we wants to have the chickens that forage the pasture land to fertilize our fields but we also would like our egg layers to have a place to lay. This is my first choice when it comes to coops.